Endometriosis is a condition where tissue from the lining of the uterus implants in other places of the body, usually in the abdomen and on the ovaries. The most likely explanation is from reverse flow of menses of the tubes into the abdomen. Minimal and mild cases have been shown to correlate with some decline in fertility. More advanced stages worsen the prognosis for pregnancy, presumably due to scarring of the tubes and ovaries. However, the exact reason for the cause is unknown. This problem usually has no serious medical consequences although it has been shown to correlate with pain. 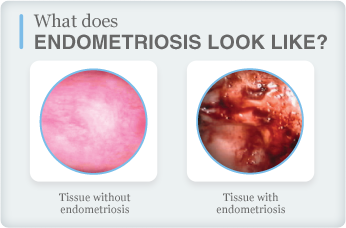 Interestingly, the degree of pain may be inversely proportional to the extent of endometriosis. Treatment, which depends on the diagnosis and symptoms of the patient, involves medical or surgical options. Pregnancy may have a temporary beneficial effect.